Andrew Gallogly has been associated with the firm since 1986, and a partner since 1990. Andrew has developed and maintains a diverse practice, though his work now primarily involves insurance coverage related matters, appellate work, the representation of travel industry defendants, and complex civil litigation matters including the defense of insurance agents and brokers, construction related claims involving indemnification and additional insured coverage issues, general personal injury, and commercial matters. 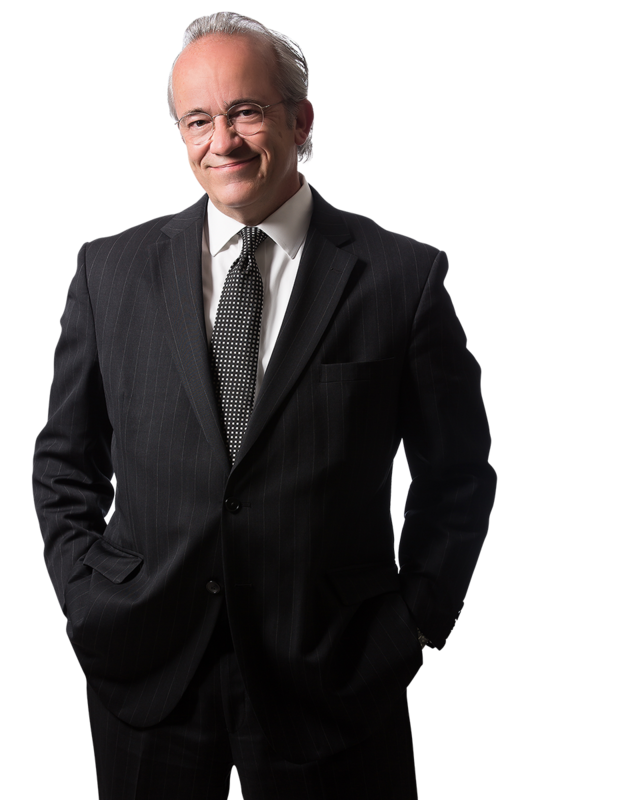 Andrew has handled numerous appeals in the Superior and Supreme Courts of Pennsylvania, as well as the United States Courts of Appeals for the Third, First and Seventh Circuits, both in connection with his own cases, and for other attorneys within the firm. In addition to providing coverage opinions, authoring reservation of rights and disclaimer letters, and representing insurers in coverage litigation and appeals in the state and federal courts, Andrew’s coverage practice has involved the review, writing and revision of manuscript policy forms and endorsements for several insurers and managing agents, including a substantial revision of an existing claims made professional liability insurance program for travel agents and tour operators, as well as the creation of policy forms with respect to a new insurance program for ambulance and other emergency service providers. For many years, Andrew has also represented, or overseen local counsel in the defense of overseas personal injury claims against domestic travel agents, tour operators and hotel brand management companies, as well as foreign hotel owners, excursion operators and ground service providers, involving complex liability, jurisdictional and choice-of-law issues. "Commercial General Liability Coverage Exclusions Under Pennsylvania Law"
Summary judgment for CGL insurer in Hanover Ins. Co. v. Urban Outfitters, declaring that insurer no duty to defend or indemnify insured retailers on basis of "prior publication exclusion" in connection with underlying suit by Navajo Nation for trademark infringement, unfair competition and violation of Indian Arts and Crafts Act. Summary judgment for insurer as co-counsel in OneBeacon America Ins. Co. v. Urban Outfitters with respect to multiple underlying invasion of privacy and consumer protection law claims stemming from retailer’s allegedly improper collection of customer zip code information due to lack of a "publication", exclusion with respect to the recording and distribution of material in violation of law, and limited scope of Coverage B offense of invasion of privacy. Summary judgment for professional liability insurer and successful defense of appeal in Connecticut Indemnity Co. v. DER Travel Service, declaring that insurer had no duty to defend or indemnify insured with respect to underlying fraud and consumer protection law claims. Declaratory judgment for CGL carrier and successful defense of appeal in Modern Equipment Sales v. Main Street America Ins. Co. on basis that additional insured endorsement afforded only limited coverage to equipment lessor for liability stemming from named insured’s own use of rented track loader, and did not apply to claims of negligent entrustment against named insured or additional insured, or to claims for lessor’s independent negligence. Summary judgment for CGL insurer in Miller v. Quincy Mut. Ins. Co., declaring that insurer had no duty to defend or indemnify insured with respect to underlying claims of workplace sexual harassment. Successful defense of Third Circuit appeal in Avicolli v. GEICO, upholding dismissal of suit challenging New Jersey auto insurance statute excluding pedestrians injured in other states from entitlement to mandatory PIP coverage on the basis of the Equal Protection Clause of the Fourteenth Amendment, court holding that there were legitimate state interests in drawing a distinction between pedestrians injured within, and those injured outside of New Jersey. Declaratory judgment that CGL carrier had no duty to defend construction company in connection with claims of intentional misrepresentation, Bituminous Cas. Corp. v. Gleim. Defense verdict and dismissal of insured’s appeal in Blair v. Donegal Mut. Ins. Co., involving multiple coverage issues relating to timing of claim, late reporting, and various exclusions under "claims made" D&O liability policy. Declaratory judgment for insurer in West American Ins. Co. v. Lindepuu, holding that insurer had no duty to defend or indemnify with respect to underlying class action involving construction defect claims on basis of faulty workmanship exclusions. Declaratory judgment and successful defense of appeal in Consulting Engineers v. INA and Selective Ins. Co. involving multi-insurer dispute relating to applicable trigger of coverage in suit for malicious prosecution, court rejecting "multiple trigger" approach outside of the context of toxic tort claims and placing responsibility solely upon the insurer whose coverage was in force when the offending lawsuit was filed. Verdict for auto insurer in TICO Ins. Co. v. March based upon off-duty drunk driver’s non-permissive use of insured vehicle. Dismissal of personal injury claims against Dominican and Mexican hotel owners for lack of personal jurisdiction in Pennsylvania, Evers v. Coryn Group, Hickey v. Inversiones Vilazul, and Wilson v. RIU Hotels & Resorts. Summary judgment for tour operator and hotel brand management company in suit for personal injuries suffered at Mexican hotel on basis that they did not own or control the premises, Tygart v. AMResorts, LLC. Declaratory judgment upholding validity of UIM coverage motorcycle exclusion in connection with challenge on public policy grounds in TICO Ins. Co. v. Turpin. Declaratory judgment for homeowners insurer in West American Ins. Co. v. Klein, court holding that insured’s prior third degree murder conviction in connection with shooting incident conclusively barred coverage, despite presence of negligence allegations, on basis that there was no covered "accident," and on public policy grounds. Declaratory judgment in Hamburg v. 14,000 Siblings, holding that CGL insurer had no duty to defend or indemnity tavern on basis of liquor liability exclusion. Declaratory judgment in Certain Underwriters at Lloyd’s v. Brownie’s Plymouth, declaring that coverage was barred with respect to bar patron’s underlying personal injury claim by assault and battery exclusion. Summary judgment for homeowners insurer in Massachusetts Bay Ins. Co. v. Szakacs, declaring that coverage was barred by valid "family exclusion" with respect to underlying claim involving child’s fall into neighbors’ pool. Summary judgment establishing that auto insurer was entitled to set-off of tortfeasor’s liability limits against UIM limit of its policy in Grange Mut. Cas. Ins. Co. v. Pinto. Summary judgment and successful defense of appeal to Pennsylvania Supreme Court in Alston v. St. Paul Ins. Cos.., establishing that a statutory "bad faith" action cannot be maintained against a workers’ compensation insurer due to the exclusivity of the statutory remedies afforded by Workers’ Compensation Act. Non-jury verdict for marine insurer in Martino v. New Hampshire Ins. Co. on basis of policy exclusion pertaining to misrepresentations made in policy application. Summary judgment for two homeowners insurers in declaratory judgment action on basis of intentional injury exclusion in Pennsylvania National and Lumbermens v. Unterberger, involving underlying suit stemming from fraternity house fire, despite allegations of mere negligence on the part of the student defendant, on basis of guilty plea and fact that fire involved multiple points of incendiary origin, demonstrating that it was intentionally set. Verdict for insurer in suit by personnel placement agency in K. Robert Brian v. Pennsylvania National Ins. Co., court holding that agent was not entitled to commission where his placement efforts were not the efficient, procuring cause of the hiring, as negotiations had broken off between an initial interview and the creation of a new position with the company for which the employee was hired. Summary judgment for forklift repair contractor on strict liability, breach of warranty and negligence claims in Morello v. Lift Truck Technologies, court holding that repair contractor had no legal duty to provide warnings of potential dangers posed by absence of strobe lights and back-up alarms, or to recommend that those additional product safety features be added to existing equipment purchased from other parties.